Representing the first European design of Arnold Palmer, Tralee Golf Club in southwestern Ireland is one of the most spectacularly beautiful golf courses you will ever encounter. And while beauty often masks certain deficiencies in a golf course, that is certainly not the case with Tralee Golf Club. Having completed his masterpiece, Palmer commented: “I have never come across a piece of land so ideally suited for the building of a golf course. I am happy that we have one of the world’s great links here”. While it always boasted a magnificent setting, with the course settling down and the greens thriving over time, Tralee Golf Club has now joined the elite group of Irish links. 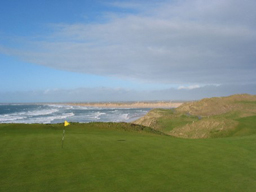 With views of the Atlantic and white sandy beaches from almost every hole, Tralee Golf Club earns rave reviews from all who play it. 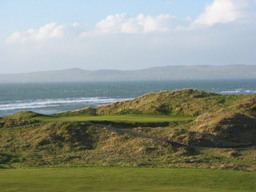 Tralee Golf Club is one of those courses where it is difficult to concentrate on your game due to the breathtaking nature of the scenery but you will nevertheless note that the course offers countless superb holes. Best on the front nine include the doglegging par five 2nd hole, which measures over 590 yards from the championship tees and plays directly along the Atlantic Ocean to the right; the demanding par three 3rd hole, which requires a tee shot struck almost over the beach to a green guarded left and right by bunkers; and the relatively short par four 8th hole, which again requires a brave tee shot skirting with a watery grave on the left and requiring a pinpoint approach to a target sloping wickedly from right to left. Brace yourself for one of the finest homeward stretches in golf. Each hole from the 10th to the 18th provides an unforgettable experience. When playing your second shot to the 12th green, you will quickly realize why it’s rated the most difficult on the course. Assuming you have hit a good drive, a huge depression from which there is no escape lurks to the left, while there is literally nowhere to land your ball other than on the green. 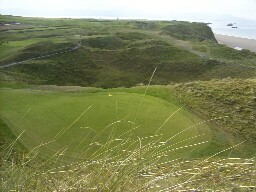 The short par three 13th over what is best described as “trouble” is all about trusting your club selection, while the longer par three 16th requires a well struck mid to long iron from an elevated tee to a green cleverly protected by bunkers and perched directly beside the Atlantic Ocean. 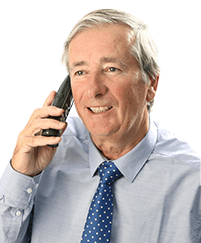 Contact us for more information on Tralee Golf Club – read about more Golf Courses in Ireland. Old Head of Kinsale, Doonbeg and Royal County Down. You can also read about Ireland’s Finest 18 Holes of Golf.